Adam Scott also won on the US Tour to cement his spot as the current world number one and things are certainly hotting up amongst the world's top players as the US Open fast approaches, look out for our popular US Open sweepstake in the shop now with tickets priced at just £1 each and a £100 voucher for the winner as the prize. Despite some wet weather on Sunday the course was still in magnificent condition for the Benny Trophy bogey competition and the weather certainly did nothing to deter Paul Foster from playing great golf as he overcame a loss on the first hole to still post a great winning total of 7 up including four pars in his last six holes and this is Paul's first board competition victory. Stuart Fallows finished in runners up spot for the second week running scoring 5 up, surely he will get a win soon! In third pace was one of our newer members Shaun Carter who showed he is one to look out for as he also finished 5 up. Well done also to Antony Green who scored not one but two two's on the 2nd and 14th holes. Well done to our team who won their second game in a row in the Cheshire Nine Hole League, we played Woodside at home on Wednesday evening and a convincing 3-1 win was recorded. The team consisted of Martin Major, Steve Bond, Patrick Scanlan, Antony Green, Alan Royle, Paul Underwood, Dave Johnson and Steve Hulse. The next competition is the June Medal coming up this Sunday starting at 12pm. I know many golfers that have had a tangle with the trees on the third hole but here is member Simon Stephenson caught red handed trying to take matters in to his own hands and doing a bit of tree pruning. This was the mighty branch he managed to dislodge with his tee shot that I presume was supposed to go around the tree! I know that the last anagram quiz really challenged a few of you, Dave Johnson was the quickest to get them all right, here is another lot that are even more difficult to solve and the creator James Eaton is so sure that everyone will be stumped by these ones that he has offered a drink in the bar on him to the first person to reply with the full ten correct answers, I know I didn't get many, so get your thinking caps on! The sunshine came out for the Bank Holiday Stableford and it was in form Shaun Carter who finished first with a score of 40 points including a superb back nine of 25 points, in the space of three days his handicap has dropped from 27 to 23 so he is certainly headed in the right direction! Dave Shering has also been playing well recently with a new set of fitted irons and wedges in the bag and he took second place with 34 points and in third was our very own lumber jack Simon Stephenson with 33 points. The May 18 hole Seniors Stableford was played on Tuesday and it was a familiar winner as Ken Powell triumphed with 42 points, he got off to a great start with a birdie on the first hole and went out in 22 points with five pars in a row, Phil Pickering also played good golf to come second with 39 points boosted by birdies on holes thirteen and fifteen. Alan Phillips finished in third place with 38 points including a back nine of 24 points, next week the Seniors are off on their jollies with a two day golfing trip to Blackpool. The latest ladies competition was an 18 hole Stableford last Thursday, unfortunately weather conditions weren't great but Sandra Peake still managed to score 33 points battling through the wind and rain to take first place, in second place was Kath Hough with 31 points and third place went to Elspeth Forbes with 29 points. The next ladies competition is on Thursday 5th June and is a nine hole Stableford. 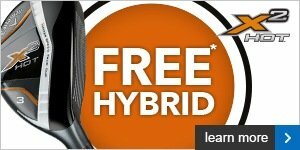 We have a great offer on new irons from Callaway and TaylorMade - any set of at least 7 irons either standard or custom made purchased from us will also include a FREE stand bag worth £99, this is a great offer and one that will be running for a limited time only so if you would like to book a fitting and take advantage of this deal please contact me here. 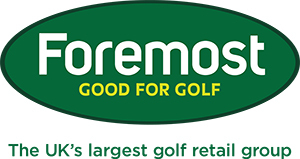 To commemorate Tiltleist being the most played golf ball at the US Open for the last 66 consecutive years they have released a limited edition ProV1 ball numbered '66', we have a small amount of these balls in stock and they are available at the normal price of £39.99 per dozen or 2 dozen for £75. They would make a great collectors item or you can play a ball that you know will be unique and different to your playing partners, click here if you would like to reserve some before they sell out. 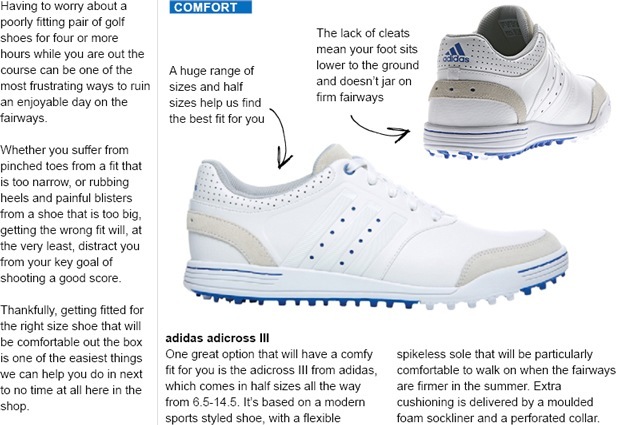 Speak to us about a shoe fitting so we can ensure you're playing pain free this season. 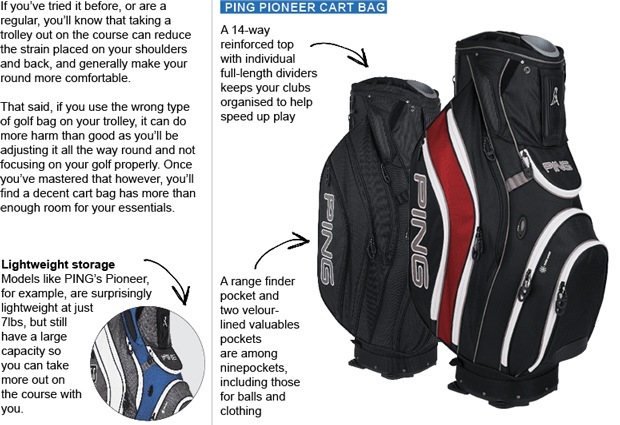 Pop into the shop and take a look at your cart bag options. Right out of the box, FootJoy’s Contour shoes give the feeling you’ve been wearing them for weeks. That instant comfort comes from a glove-like waterproof leather upper and a flexing construction usually reserved for athletic footwear. Superb support and traction makes Contour a winning combination. Make sure you're prepared for those summer months when we all like to moan about the heat! PING Collection's Sensor Cool means you'll feel comfortable on the course even when it's really muggy. Not only will you look the part, but you'll find your swing is not restricted, too. If you want to stop receiving emails from Tim and Paul at Hartford Golf Club then you can unsubscribe here.